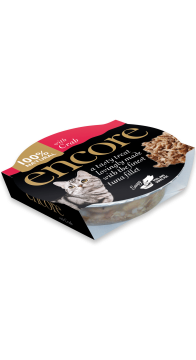 Encore Tuna with Crab pot is a unique way to feed your cat – simply peel the lid and serve. 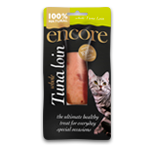 It’s 100% natural and packed wth real meat from Tuna Fillets and Crab. 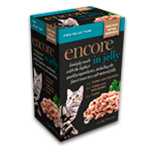 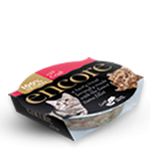 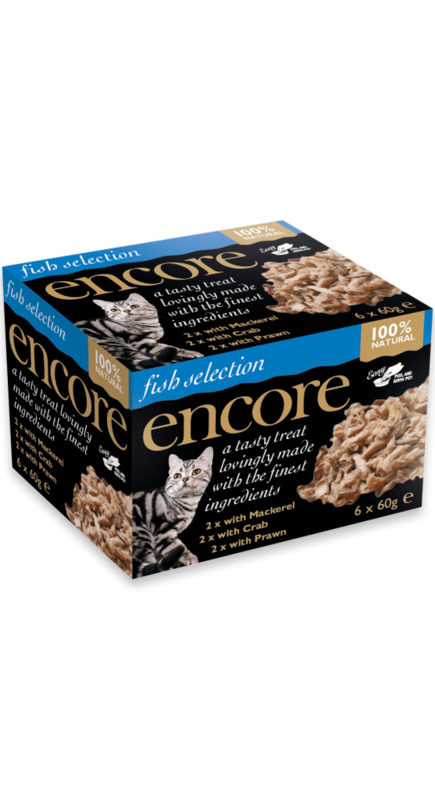 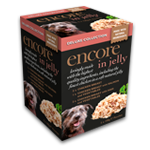 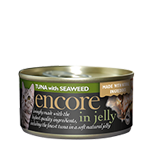 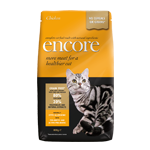 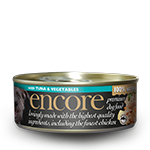 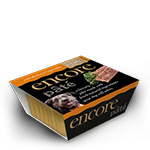 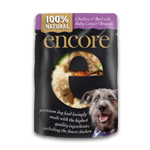 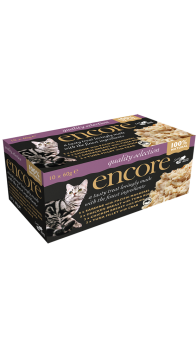 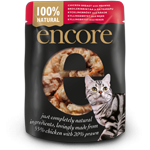 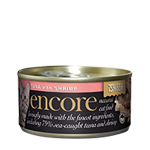 Encore Chicken with Tuna Roe pot is a unique way to feed your cat – simply peel the lid and serve. It’s 100% natural and packed wth real meat from Chicken Breasts.